Muzaffarnagar: "Na jaat ka na paat ka. Jat to sirf apni Khap ka (A Jat doesn’t belong to his caste or community but only his Khap)," said Prahlad Kumar, 60, while taking a drag from the hookah infused with tobacco at Kutba Kuti village, around 25 kilometres from the Muzaffarnagar district headquarters. Kumar had gathered all the men of his age group to ask them to vote for BJP candidate Sanjeev Balyan, who is the sitting Member of Parliament (MP) from Muzaffarnagar constituency and is contesting against the gathbandhan's (SP-BSP-RLD) heavyweight candidate and son of former prime minister Chaudhary Charan Singh, Chaudhary Ajit Singh. Kumar, while asking one of his sons to bring one extra cot for the men to sit in front of the Punjab National Bank (PNB) Kutbi branch, said that no matter what happened in 1971, the Jats of the Balyan Khap should and will vote for their sitting lawmaker who also hails from the same village. Chaudhary Charan Singh lost in the 1971 parliamentarian elections from Muzaffarnagar. "There is nothing to regret and no one knows who will live for how long. Our fathers did not vote for Chaudharyji (Charan Singh) and this is not our fault. If we do not vote for our leader Sanjeev Balyan, we will regret it even after our deaths. Our boy has done so much for the area, for the people and for everyone in the area and it is our time to send the message in all the 84 villages of the Balyan Khap to support Sanjeev," said Prahlad while boasting that he is a distant cousin of Balyan and a proud neighbour. 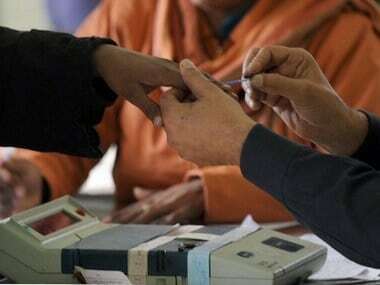 The first phase of polling for the Lok Sabha elections 2019 will be held on 11 April for eight seats of western Uttar Pradesh, which is also known as the Jat land. 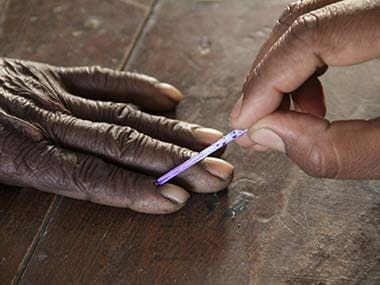 Muzaffarnagar, out of these eight seats, is set to witness a high-pitched battle where two Jat leaders of very big stature are contesting against each other. A resident of Muzaffarnagar and political commentator, Rajeev Pratap, believes that Ajit Singh being a candidate of the gathbandhan has earned him a brownie point as the elderly Jats along with the Muslim voters are with him. "Prestige is everything for a Jat and Jats are men of their words. The elderly Jats of the area regret not voting for Chaudhary Ajit Singh and choosing a Gurjar leader in 1971. 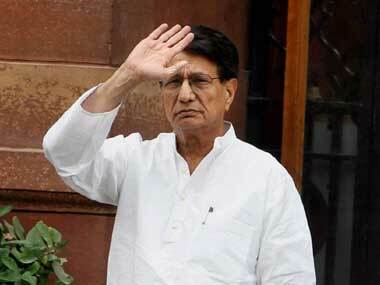 The Jats, as per my observation of the area, want to give a good farewell to Ajit Singh by choosing him. Singh has been saying during his election campaign that this is his last election and people also sympathise with him due to his bad health," said Pratap. He added that both the hopefuls are holding several panchayats every day as the battle is between the two big leaders who are contesting against each other with one having the sympathy vote while the other has a good report card of work done for the residents of his constituency. 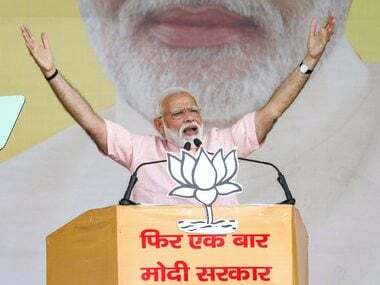 Pratap added, "If we see and calculate arithmetically, Ajit Singh is leading because he has got the support of Muslims who have around 5 lakh voters, then Jatavs who are around 2.5 lakh in number and other backward Hindu castes who are 7 lakh in number, just because he is the candidate of gathbandhan and not just Rashtriya Lok Dal (RLD). On the other hand, Balyan will sweep the Jat votes but the problem is that Jats have a voter population of only 1.5 lakh in this constituency and it will be interesting to see who other Khaps, like Malik Khap, will choose as their leader as there is a bit of resentment amongst other Khaps of this constituency because of the speeches made by Balyan in the recent past." "The response of people, groundwork done by Balyan and his fan following owing to his aggressive nature amongst the youth are fueling the competition for the seat as young Muslims can also vote for him," he said. According to the data from the district magistrate's office, there are approximately 16.5 lakh voters out of which 5 lakhs are Muslims, 2.5 lakhs are Jatavs and 1.5 lakhs are Jats, while the remaining voters are from other Hindu castes. 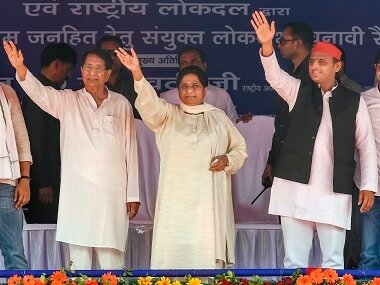 Meanwhile, the All India Jat Sangarsh Samiti has also announced support for the SP-BSP candidate in all the constituencies of western Uttar Pradesh as the Narendra Modi-led government failed to provide them with 10 percent reservation. This will be a major jolt for Balyan. Senior political analyst Atul Chandra said that the competition is really tough and Balyan does not look as confident as he was in 2014. "In a recent interview to a national Hindi news channel, Balyan accepted that the road is not easy this time. The other factor that can cost him is his politics of polarisation. The Muslims are not going to vote for him as the cases related to the 2013 Muzaffarnagar riots were withdrawn only from the Hindu community. The lower section of the Hindu caste also dislikes him because of his rude personality," he added. Satish Prakash, a Meerut-based political expert, said that although the arithmetic equation is sending Ajit Singh to the Parliament, the battle on the ground is really close. "All the Hindu castes will go with Baliyan if polarisation happens, which is very much expected. The Muslim youth can go for Balyan but chances are very low. In this case, this fight will emerge as the biggest battle because it is not just two big leaders who are contesting against each other but it is turning out to be a battle of Khaps, the battle of caste equation, the battle of development versus sympathy."